Jubilee leaders have passed a vote of no confidence against the labor and social welfare Alfred Keter and Environment committee vice chairperson Vice Chairperson Kangongo Bowen. Alfred Keter has said that this vote of no confidence is setting a bad tradition in parliament and that there should be a n induction as opposed to voting him out. “We are setting a bad tradition. Parliament has capacity to produce its leaders. 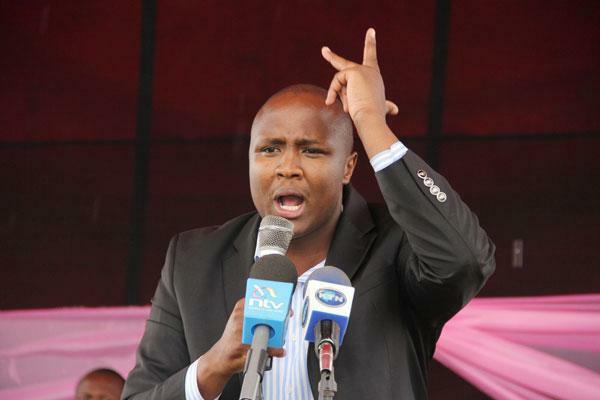 It is wrong to be seated here instead of going through an induction” Alfred Keter said. The two have for the past two weeks been declared as Jubilee rebels after they walked out from a meeting with deputy president William Ruto who had asked them to resign so that they can promote regional balancing. NASA MPs who are members of this committees said that they would not attended the seating as they felt that the executive was interfering with affairs of parliament weakening the independence of the parliament.